On Saturday, November 4, 2017 from 10:00am - 12:30pm, Alpha Academy (AA) conducted a session on the Dangers of the Internet and Dangers of the Internet/ Appropriate Use of Social Media at Potomac Middle School, Dumfries, VA. There was a total of 27 young men in attendance with the support of 5 brothers from Xi Alpha Lambda. The session was led by Mrs. Renee Forney and Mr. Sam Brothers who are both leading federal experts in the CYBER law enforcement, program management, and policy. They discussed understanding personal information that is readily available on the internet and the inability to delete information shared on social media. They also discussed law enforcement and use of social media to include illegal copyrighting, sexting, and crimes associated with using mobile devices. They also discussed careers in CYBER. Several parents were in attendance for the Parent session where the presenters discussed how to monitor youth activity on social media; how parents can encourage the youth towards careers in CYBER; and the presenters answered question. 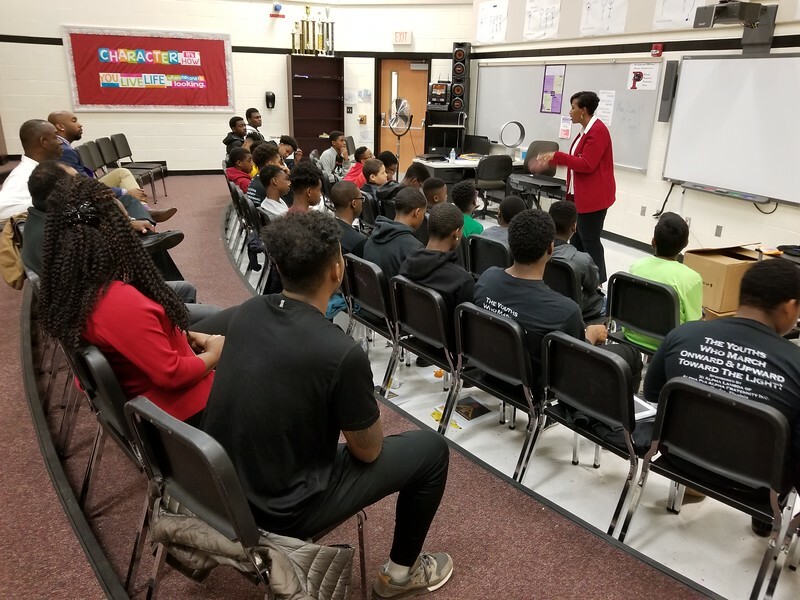 We were also visited by Mrs. Rebecca Sledge who is the community outreach leader for the local chapter of Delta Sigma Theta and has provided great support towards our program.